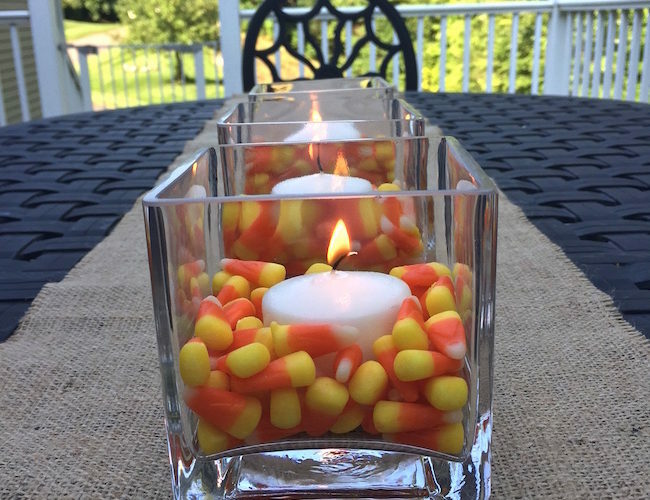 have created. 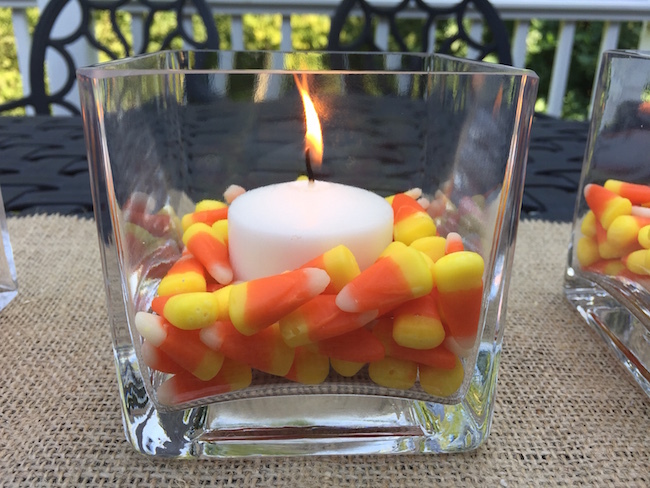 The many things one can do with Candy Corn! 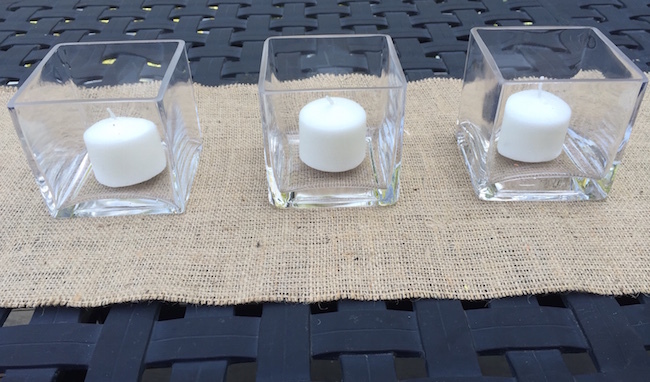 Step 1: Place runner in the middle of your table and place a candle in the middle of each vase. 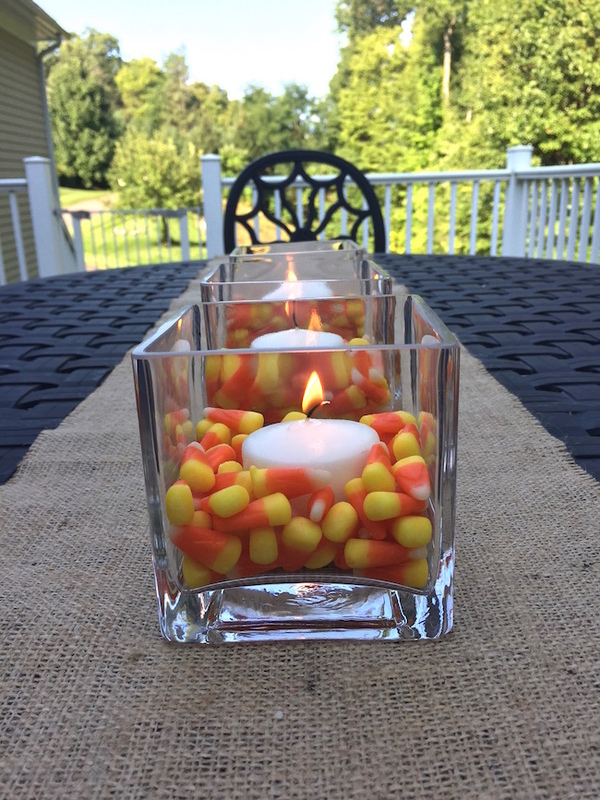 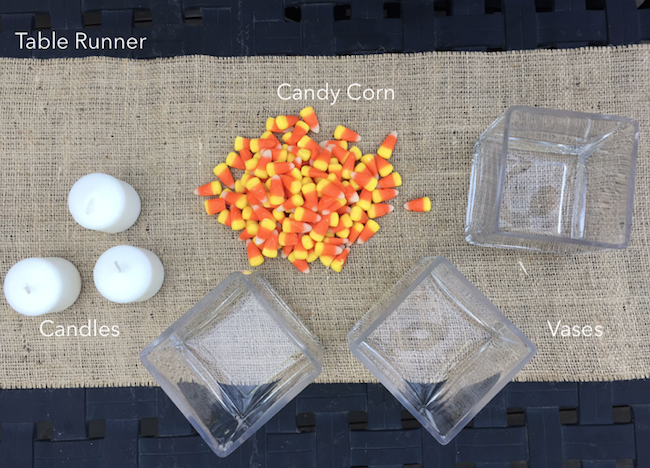 Step 2: Pour equal amounts of candy corn around each candle making sure to only cover halfway. 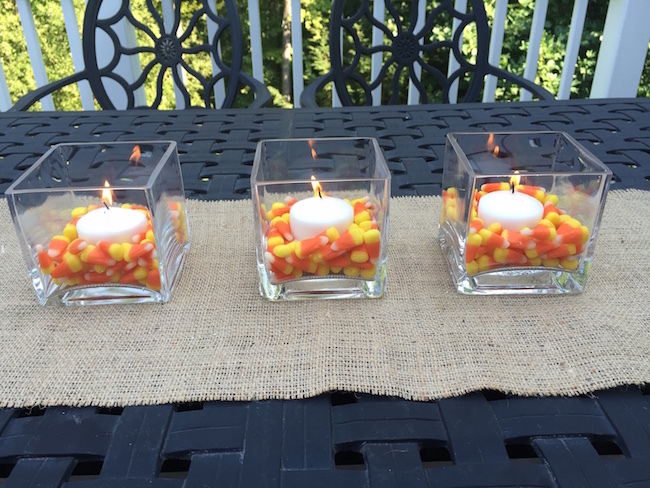 Step 3: Light candles and enjoy. 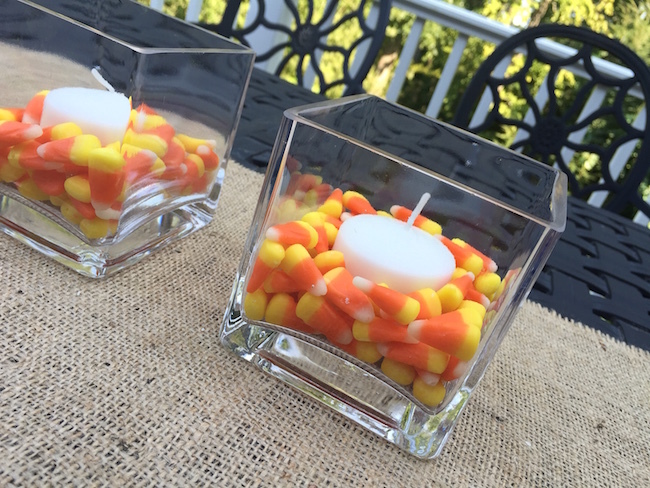 Make sure your guests don’t eat your centerpiece!